There can be little dispute that culture influences philosophy: we see this in the way that classical Greek culture influenced Greek philosophy, that Christianity influenced mediaeval western philosophy, that French culture influenced a range of philosophies in France from Cartesianism to post-modernism, and so on. Yet many philosophical texts and traditions have also been introduced into very different cultures and philosophical traditions than their cultures of origin – through war and colonialization, but also through religion and art, and through commercial relations and globalization. And this raises questions such as: What is it to do French philosophy in Africa, or Analytic philosophy in India, or Buddhist philosophy in North America? 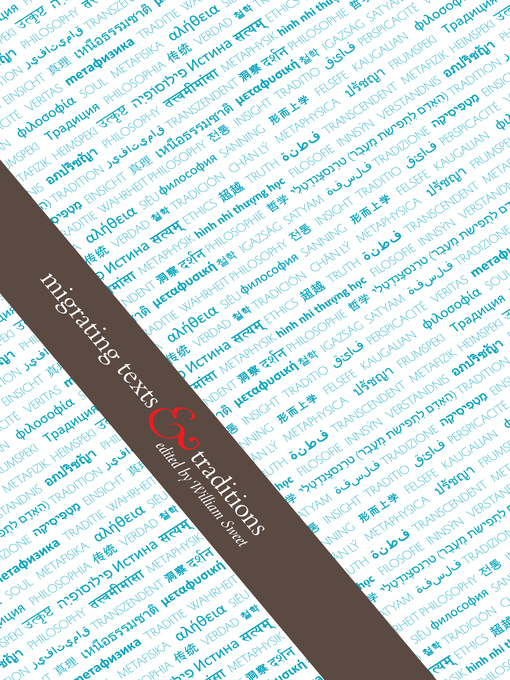 This volume examines the phenomenon of the 'migration' of philosophical texts and traditions into other cultures, identifies places where it may have succeeded, but also where it has not, and discusses what is presupposed in introducing a text or a tradition into another intellectual culture.